2018 Summer Camps- Musical Theater, Intro to Theater and our 2 week Dreamwork's- Shrek, The Musical, Jr.
Summer time is usually pretty quiet here at the Opera House. Our Celebration Series and BOH Presents shows have wrapped-up for the season, and the staff is busy preparing for the next season. Actors and actresses from last years Lion King, Jr. workshop. 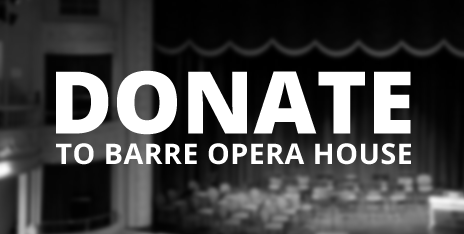 For the past couple of years The Barre Opera House has partnered with Contemporary Dance & Fitness in Montpelier, and what fun it has been! We have 3 workshop/camps with kids between the ages of 6 - 17, see a complete summary of our camps on our education page, Barre Opera House Youth Theater Summer Camps. Behind the scenes: Set-design-extraordinaire Robyn Osiecki putting together props. We hope you enjoy this behind the scenes look back (from 2016) provided on the Vermont Arts Council's Facebook page!